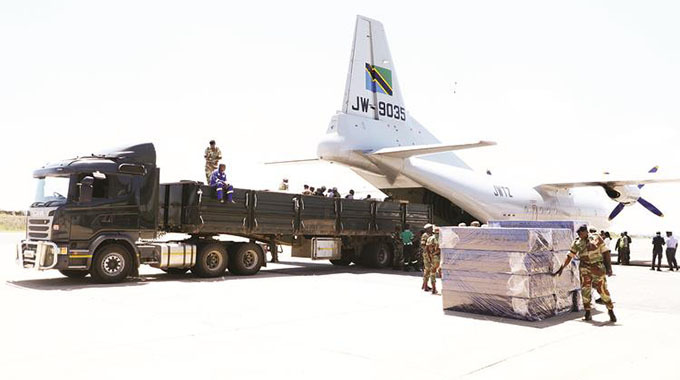 The country yesterday received a consignment of goods from Tanzania to assist the victims of Cyclone Idai while more corporates and individuals continue to donate to the affected communities. The goods, which were handed over by Acting Tanzanian Ambassador to Zimbabwe Brigadier Albdallah Alphonce and received by Justice, Legal and Parliamentary Affairs Minister Ziyambi Ziyambi, included drugs, food, mattresses, bed sheets, surgical gloves, mosquito nets, blood transfusion kits and bandages. Minister Ziyambi expressed gratitude to Tanzanian President John Joseph Magufuli for the help. “We thank President Magufuli for the consignment that they have brought. They have brought medicines, foods, mattresses. In Manicaland most of our people do not have anything at all, so this kind gesture from the Republic of Tanzania is much appreciated and we welcome this African brotherhood that has been shown by our brothers from Tanzania. “After floods water-borne diseases are going to occur, so we noticed that they also brought in consignments for that and we are very grateful. They also brought mattresss and this will go a long way in helping particularly our women and children,” he said. Posting on his Twitter account, South African President Cyril Ramaphosa said: “South Africa stands with #Mozambique, #Malawi and #Zimbabwe as they confront the devastating effects of #CycloneIdai which has demolished homes, caused deaths of hundreds, and displaced thousands of people. We are supporting the rescue and relief efforts through the #SANDF,” he said. Members of the Zimbabwe National Army load drugs, foodstuffs and mattresses donated by the Government of Tanzania onto a truck. Information, Publicity and Broadcasting Services Minister Monica Mutsvangwa also received blankets, food and toiletries donated by well-wishers at ZiFM in Harare yesterday. She said she was happy with the response by Zimbabweans towards the cyclone victims which she said demonstrated the spirit of unity. “Government is doing a lot of work in providing medication and clean water. As you are aware, the water has been contaminated. This was a true calamity. I have never seen such in my life. Displaced families were being housed in churches, clinics, and some at Chipinge hotel. “There were also a few of those injured who are being airlifted to Mutambara Hospital for treatment. We also talk of blankets, food and toiletries, therefore the donation will go a long way in assisting the flood victims,” she said. She commended the Zimbabwe Defence Forces for conducting rescue operations. “The Army and the Airforce are doing a great job in rescuing people and some were walking long distances since the weather was not conducive to fly the helicopter,” she said. 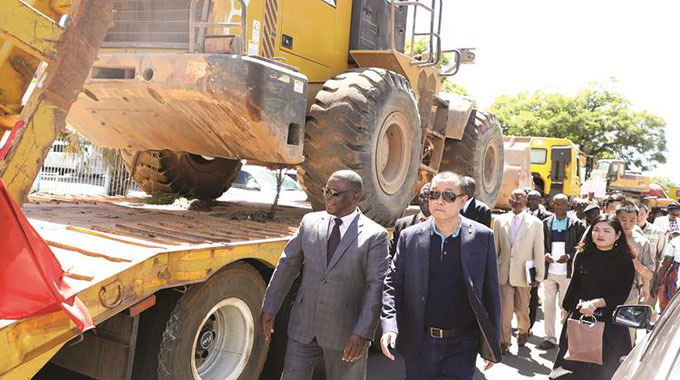 Chinese construction company, Ming Chang Sino-Africa Investment (Private) Limited donated earthmoving equipment to speed up clearing of routes to enable movement of aid to the affected communities. Receiving the equipment, ZDF Chief of Staff for Defence and Economic Development, Major-General John Mupande, thanked the Chinese community in Zimbabwe for heeding the call to help the cyclone victims. Zimbabwe Defence Forces Chief of Staff Major-General John Mupande (left) receives earthmoving equipment and foodstuffs from Mr Xing Mingchang of Mingchang Sino-Africa in Harare yesterday. 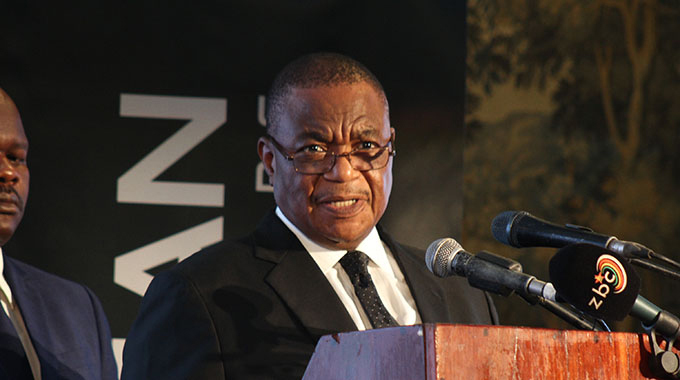 Ming Chang Sino- Africa Investment (Private) Limited chairman Mr Xing Mingchang said as a foreign resident who had lived in the country for years, he regarded Zimbabwe as his second home. Chitungwiza Municipality donated RTGS$5 000 . Local Government, Public Works and National Housing Deputy Minister Jennifer Mhlanga thanked the Municipality for their donation. “Your willingness to assist in this time of need will make a huge impact to the lives of our dear brothers and sisters. We hope other local authorities will also emulate this gesture,” she said. 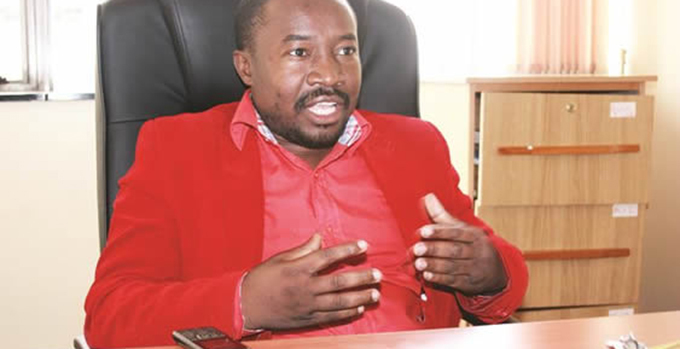 Harare Metropolitan Minister of State Oliver Chidawu yesterday appealed to Harare residents to continue donating to the victims. “We would like to extend our heartfelt condolences to families who lost their loved ones in Zimbabwe, Mozambique and Malawi. 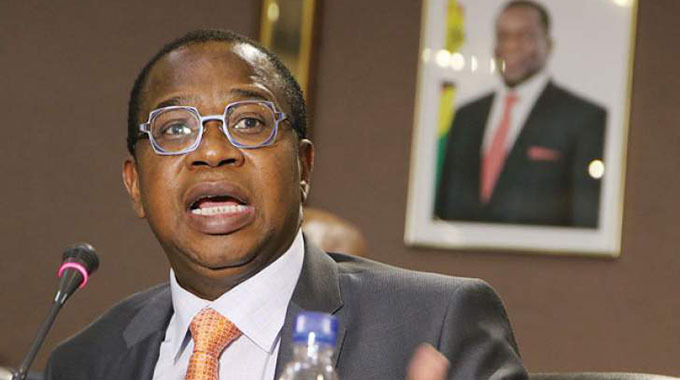 “We are concerned and troubled about our brothers and sisters’ welfare in Manicaland which is our responsibility as the people of Harare to mobilise any form of assistance,” he said. Donations can be sent to the Harare provincial administrator or deposited into CBZ Kwame Nkrumah branch account number: 01122708630013 or contact the PA on 0772 214 247 or 0716 278 761. Save the Children Foundation offered psycho-social services to St Charles Lwanga Secondary School students traumatised after losing their colleagues. Save the Children donated blankets, water treatment chemicals, sanitary wear, utensils and food items to cater for 200 families while FBC Bank and POSB handed over 20 tonnes of groceries and 1 000 litres of fuel. POSB donated over 200 blankets and groceries valued at $15 000. Brands Fresh Mutare also donated one tonne of potatoes and another tonne of butternuts while the University of Zimbabwe donated 2 000 blankets, 2 000 towels, medical sundries and drugs worth $10 000 to victims and also supported a family that lost their son who was on attachment at the Environment Management Agency in Chimanimani. UZ will also send a team of clinical psychologists, social workers and engineers to assist survivors. NetOne donated foodstuffs worth $50 000 towards the disaster and is also rehabilitating network infrastructure destroyed by the cyclone.